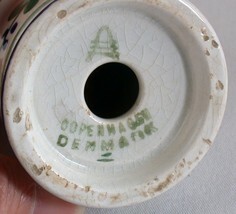 Copenhagen Denmark salt shaker with beehive mark. 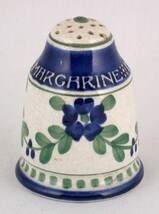 Advertisement for H. Steensens Margarine on the top. 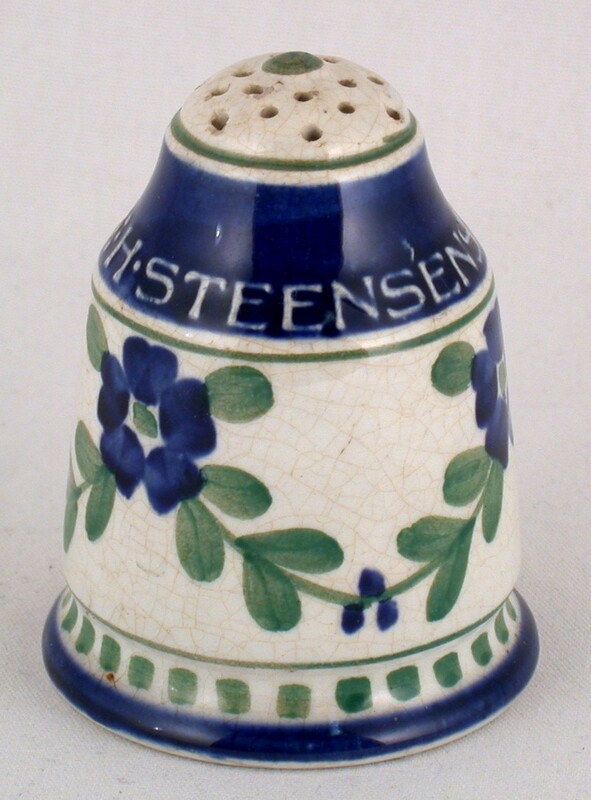 I believe that Steensen established a factory and was the first to produce a vegetable margarine in Denmark. Not certain of the age, but perhaps around 1920s. 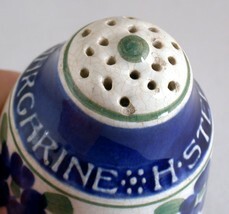 This shaker is about 3-1/4 inches tall and 2-1/4 inches in diameter at the base. It has an overall crazing and some small chips at the top. The cork has fallen inside. If anyone has more information about this shaker, I'd welcome their comments.